COBRA, the UK government’s emergency response committee recently met at Downing Street. The purpose was to discuss updates on the poisoning of Sergei Skripal. The British spy was sentenced by a Russian court to 13 years for espionage. Based in Spain he passed the Russian Military Intelligence phonebook to MI6 and much else. Sergei Skripal is a Russian former military intelligence officer who acted as a double agent for the UK’s intelligence services during the 1990s and early 2000s. Needless to say, there wasn’t a shred of evidence to suggest Russian involvement. But, media dutifully presented speculation as 100% proven facts. Ignored, the victim was found only a few miles from the MOD exotic weaponry laboratories at Porton Down. Slipstream media had the scoundrels bang to rights; everything printed or broadcast about this story was 100% fake. The Sun headlined screeched, ‘Our Lads Beating Vlad’. This was reference to DS Nick Bailey, a great name for a London cop, making a good recovery. It might be just a coincidence that the same redtop warned of Saddam Hussein’s weapons of mass destruction and told readers they were ’45 Minutes from Doom’. A problem, Russia said no such thing. The comment was made by a solitary TV presenter speaking on one of Russia’s hundreds of broadcasting channels. The anchor-man’s inference did not imply Russian responsibility. It is claimed that western media is independent. How odd that throughout this affair orchestrated media sung to the same song sheet. Cui bono or who benefits: A false flag, anyone? The headlines followed: “Theresa May could send more troops and jets to Russia’s border’. The blood-soaked arms industry and its vampire political shareholders can now throw the funeral wake of the century. Good timing too; the convenient incident occurred three weeks before the Russian presidential election. Boris Johnson, UK Foreign Secretary raised the prospect of some form of boycott of this summer’s World Cup in Russia. Tom Secker, an analyst on espionage, says state apparatus has the means to assassinate in ways that are untraceable. This suggests a prepared hullaballoo with an opportunity to damage Russia at a critical period without Russia benefiting from the incident. Secker adds that there were many victims of the British agent who had a motive for his attempted murder. 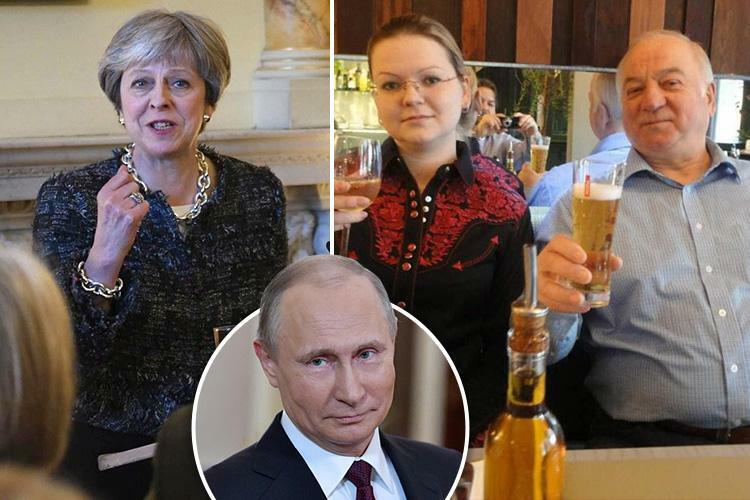 Skripal betrayed many people, not just in terms of agents but criminal organisations too. The analyst reminds us that Israeli Mossad agents assassinated a Hamas politician whilst travelling on British passports. The British government speedily dropped the matter, which suggests complicity and culpability.